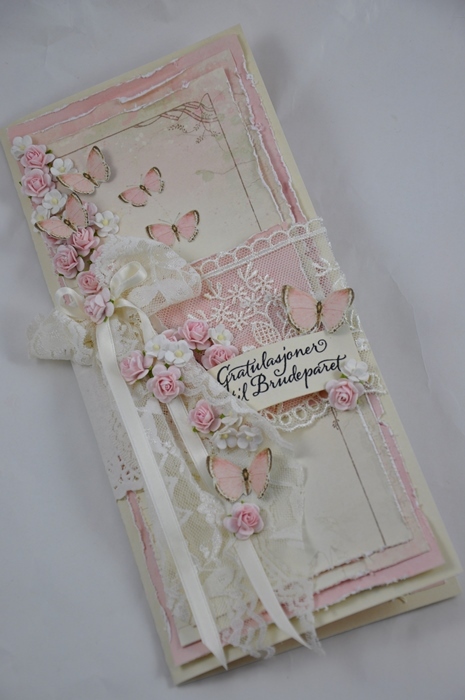 I love the new papers and today I have made a wedding card. This one beautiful card, Mona V! 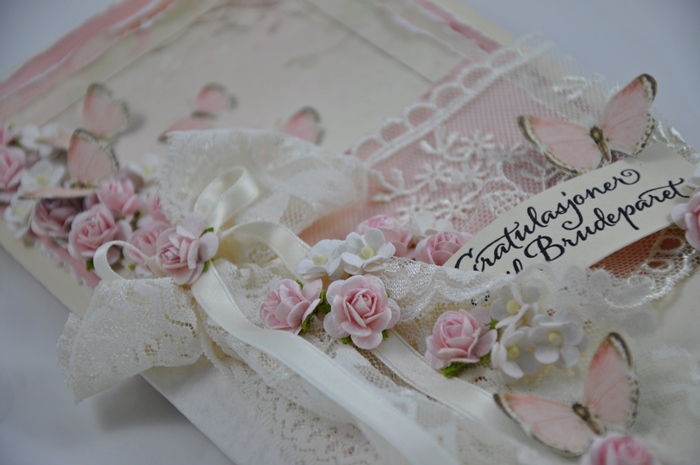 I love everything about it, the gorgeous papers, the die cuts, flowers, ribbons, everything! Love the pink of course!